Shoes at a parking lot – Where is Naoko? 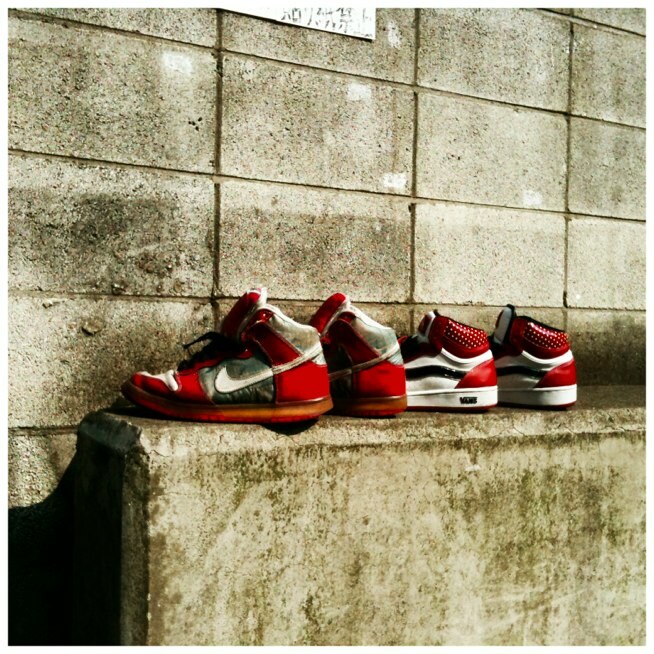 Two pair of red shoes on the ledge of a parking lot wall. That’s strange… but interesting. How did you happen to have a camera at hand?